Kikuyu grass is a warm-season grass that spreads quickly and thrives in areas with moderate temperatures. It can tolerate heat and will do well under relatively shady conditions. Because of its extremely vigorous growth habit, it is considered to be a weed in coastal and some inland areas of California. In fact, in some areas Kikuyu grass is referred to as a super weed. It is seldom established as a desired turfgrass. Kikuyu grass has a low disease incidence and is susceptible to cold temperatures, but is able to recover quickly from moderate wear or severe injury. 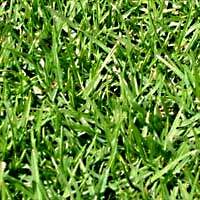 Although once considered to be primarily a weed, kikuyu grass is now sometimes managed as a turf species. 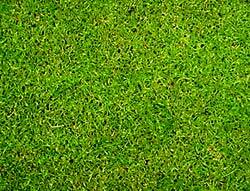 Kikuyu grass is a coarse-textured, light green grass, sometimes mistaken for St. Augustine grass. 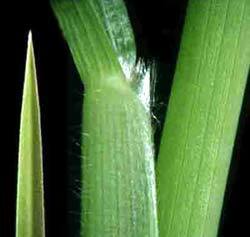 The leaves are folded in the bud, the ligule is a fringe of hairs, and there are no auricles. It has slightly flattened, hairy leaf sheaths and tapering leaf blades with files of hairs. Kikuyu grass spreads by its thick rhizomes and vigorous stolons. Under ideal growing conditions, it can grow up to 1" a day and if left alone it can reach a height of 18". Kikuyu grass is a low maintenance grass except for regular weekly mowing. It can tolerate low fertility and high heat. It can recover from drought conditions. Kikuyu grass has a low tolerance for cold temperatures. It has a tendency to "scalp" when mowed short. Kikuyu also has a tendency to create excess thatch and can be highly invasive.